High, Wide and Handsome feature well-known names Jackie Clarke, Rikki Morris and Chet O’Connell. They will take the stage in the Haiku Reserve as they rock the town with a world class performance that will have you out of your seats from the very beginning. Performer and singer Jackie is a consummate professional who adds sparkle to every occasion. She is an absolute natural on stage and this is guaranteed to be a highlight of the summer calendar. Having performed with everyone from the New Zealand Symphony Orchestra to Dave Dobbyn and beyond, Jackie is no stranger to the stage. 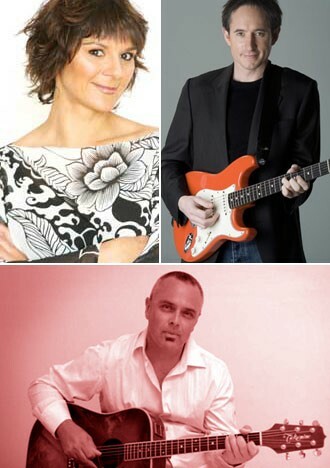 When she pairs up with Rikki Morris and Chet O’Connell the result is dynamic as they belt out lots of Kiwi classics. Well-known as a NZ Idol judge, member of The Lady Killers, When The Cats Been Spayed, The Darlings and Abbalicious, Jackie will blow you away with her talent. Combine that with some humour and glamour, add Rikki and Chet and then we are rocking! Head to the Haiku Reserve in the afternoon of January 27th with a rug or a deck chair - but make sure you have your dancing shoes on!